In the aftermath of another school shooting, gun laws may be about to change. Or, more accurately, there is talk of new legislation being proposed, that may or may not go anywhere. Among the advocates for change is Florida Governor Rick Scott, who believes that there should be more armed guards on school grounds and that it should be more difficult for some people with mental illnesses to purchase firearms, as reported by the Jackson County Floridan. The governor is also calling for legislation that would prohibit anyone under the age of 21 from being able to purchase a firearm. A “violent threat restraining order” may also be enacted, which would allow a court to decide whether or not to prohibit an individual with a mental illness from buying or owning a gun, under certain circumstances. Additionally, $50 million would go towards mental health initiatives across the state, such as expanding mental health services, including counseling and crisis management. According to Scott, “No one with mental issues should have access to a gun. It is common sense. It for their own best interest, much less the best interest of our communities.” But what are some of the current gun laws in Florida? 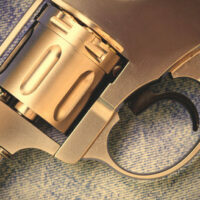 Many firearm owners question the legality of having a gun in their car, notifying an officer about their firearm, and other questions. Carrying in a Restaurant that Serves Alcohol — While it is legal to carry a firearm in a restaurant that serves alcohol, it is not legal to be in the section of the restaurant, such as the bar, where the primary purpose is to dispense alcohol. Likewise, it is illegal to carry a gun into a bar. A criminal defense lawyer at the Skier Law Firm can answer any of your questions regarding legal firearm use and carry, and if you have been charged with a firearm offense, now is the time to contact a lawyer. Call our West Palm Beach offices today.